Finally Momma Kat’s Hope Chest is filled! The generosity of fellow bloggers, cat brands and pet product suppliers was overwhelming. Several even made sure to include items for Momma Kat’s five kittens as well. As you can imagine, Momma Kat’s rescue is dependent on partnerships between my local municipal shelter, Contra Costa Animal Services and bay area transfer partners. Please notice I did not say “Momma Kat’s rescue was dependent…”. I said “…is dependent…” because she will not be truly “rescued” until she has her own loving permanent guardians to care for her. 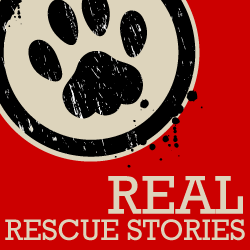 I want to ask my readers to consider finding some green papers to help the two primary partners who collaborated to bring about the early stages of her rescue. And if you don’t have any green papers or silver coins to share then please, share these two organizations who are responsible for the fact that Momma Kat is alive and well today. First, Contra Costa Animal Services (CCAS) is my county’s shelter. Their field services Officer John responded to the call from the public about finding Momma Kat badly injured in their front yard. Please consider donating to CCAS’ Animal Benefit Fund to help other animals who without CCAS would never be alive and able to find caring homes. Next, please think about making a donation to Bright Haven who is a transfer partner with CCAS. Bright Haven stepped up and took on Momma Kat and her five kittens knowing that Momma Kat required serious surgery. You can make a donation here to help other animals just like Momma Kat. Next up, the contents of Momma Kat’s Hope Chest! 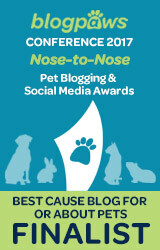 Please be sure to visit their websites to learn more about each contributor. Mom L learned about Door Buddy at the 2016 Blog Paws Conference. I decided that Momma Kat ought to have one of these just in case her new family has a woofie or small child. And Door Buddy donated not one but two! The founder decide to not only provide Momma Kat with a water bowl and a food bowl, but also to provide each kitten with their own food bowl too! And she made sure the girl kittens have pink and the boys have blue!! Mom L asked the President of DH&A, a marketing and public relations company, if any of their cat brand clients might be willing to donate to Momma Kat’s Hope Chest. Next thing I knew I was pawing at the door for Mom L to bring in this heavy package. Thank you to Miss Jo and her clients for their generosity! The founder of this totally awesome dog and cat toy product company sent enough of all four toys so that Momma Kat and all of her five kittens will have one of each! I told Mom L I needed to donate something if I was gonna be asking all those brands and pet product suppliers to contribute. First to donate a product was Miss Ellen! She sent a handmade catnip mat;three knitted nip toys; one small handmade nip kicker toy. 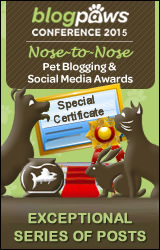 Donated by Cathy Keisha from Stunning Keisha cat blog. My BFGF (best feline gal friend) Cathy Keisha donated her give away win from Sweet Purrfections for items from Petlinks. There you have it. Momma Kat’s Hope Chest will allow her new forever family to bring her home and not have to shop for at least a couple of months or so!! All I can really ask any reader who happens to come by to my blog today for a visit is to once again—SHARE SHARE SHARE Momma Kat #mommakatssearch on every social media network to which you, and your extended family, have access. 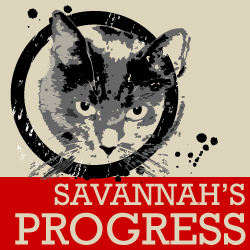 Please contact me, Savannah the Cat, at ms dot savannahcoolkat at gmail dot com if you or anyone you know is interested in learning more about Momma Kat and fostering her, fostering her to potentially adopt or adopting her. Enjoy viewing my collection of Momma Kat photos. Pingback: Reading for Cats. How important is reading to us all, in this age of video? What a great gifts for Momma Kat. We at Denise’s Dog Dish and Shasta’s Yorkie Yap are pulling for the PAWfect family for them and sharing to hopefully help! WOW! Savannah, you and your mom have done so much to help Momma Kat! And how generous of all of these sponsors to donate these items. We are amazed. Sharing for sure!!! We will share daily for this lady cat. Linda and Savvy you have worked miracles and she is now prepared to move to a loving home and be loved. She arrives like a Princess with her caravan of wonderful gifts. Good Luck Wonderful Lady! Sadly Silver, Harvey and Miranda, MK is exceptionally shy as we have just learned. More so than we knew. She also has constantly dilated pupils due to her head injury. It causes her no problems but humans may be put off by that look of always being startled or scared. She is a very special soul and will need a particular home filled with patient and calm humans. WE know she will Love, Love the Sleepypod mobile pet bed. Scylla reports that ours is very cozy and helps her feel safe when traveling. Paws crossed Mom cat finds a home soon and that the kittens do too. We are sharing sharing sharing. That is most wonderful and we will be back later to share everywhere we can. Whoa! You did good. Now we just need to find the final piece. I wish I could win that for you too. Did the rest of the stuff from PetLinks go into the Hope chest too? She’s so pretty so I don’t understand why she doesn’t have suitors. Wow wee!!! This is an AMAZING hope chest and I certainly hope it helps Momma Kat find that perfect forever home! Savvy, you and your mom are just plain awesome. awwww…gosh Miss Rachel, you helped us a ton with some great contacts with brands. Toe-tallee amazin effort on Lady El’ss part to make such an amazin HOPE CHEST!!! Momma Kat iss so purrty; wee wunder why no one had fallen fur her yet????? 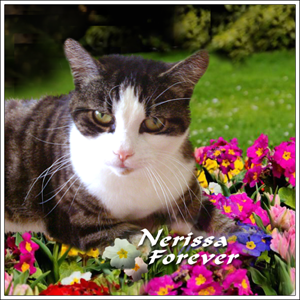 Sendin purrayerss fur Momma an her kittss to find furever homes soon…. Oh Dharth, MK is extremely shy, even more so than we knew. We just learned she seldom comes out from UTB when the foster brings her food. She eats when he leaves. So if anyone comes to visit her, she is nowhere to be seen. We need a very special place and person for her and she deserves it. How amazing that so many came together to help Momma Kat. Now let’s find her a home! It was wonderful to have some many step forward and agree to help MK. Finding her a home will take more time as we just learned she is more shy than we knew. 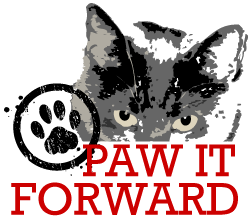 Paws crossed we can help find a way to better socialize her. What a wonderful hope chest for Momma and her babies….now they need their FOREVER…..we do hope it happens soon. It would be wonderful if their Christmas present this year was a HOME! We would be tickled Sammy if MK had a home by the holidays. But, we learned just Sunday that she is even more shy than we thought. She has not been socialized very well in foster care as the human has so many kitties to care for. MK will need a very quiet and patient human to be hers forever. I hope she gets a perfect match……we shared the post…..hoping for the best possible Christmas for MK….in a REAL HOME. WOW!! That is so amazing how many different brands and others came together for this! I really hope Momma Kat finds a home soon. Sorry my human has been dropping the ball on this, but her life is in total chaos right now. I won’t deny it Summer, having your human write a short story about her would have been very helpful. But I understand that sometimes human’s lives take over. Yes it would wonderful if MK can find a loving home as Cuzin’ Leo. However, Cuzin’ Leo is having some challenges because Dad Dave has been unwell for almost two years now and Cuzin’ Leo may not be getting enough care. Mom L and Dad P are on top of it, never fear. you are the best pals!! thank you so much. Can you share your face book link with me purrlease?